A hand is the platform. The universe sits on it. You will need an imaginative eye. I only know how to speak plainly. and I never want to. I prefer the rash and concrete. with songs, foods and gifts. People are singing, drinking and laughing. There are beautiful lamps on the top for lighting people who want to have fun. the foods are all tasty. from old wood stairs to the fourth floor. from rock stairs to the sixth floor. has a big TV, big bed, and a medium size desk. with yellow color to make the room warm, pleasant and sweet. Was your purpose to hep us be better? Why’d you have to go? Happy soul…? 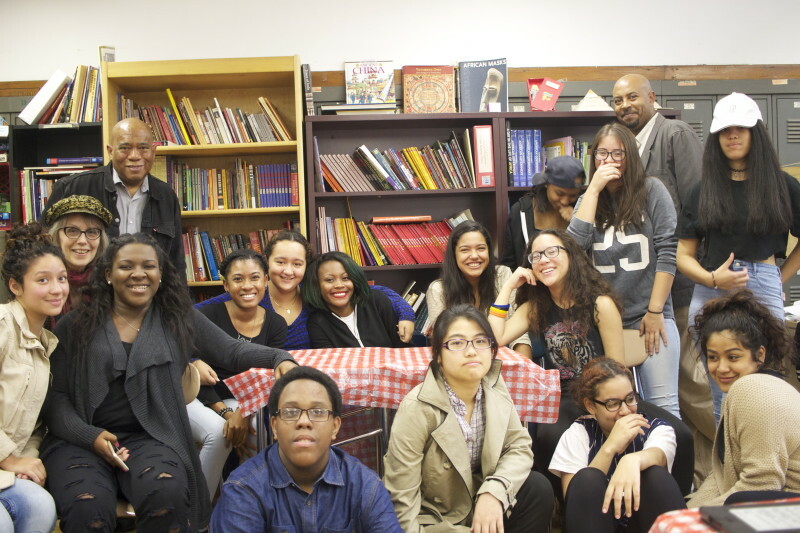 More than forty students have visited the coffee house so far this year. 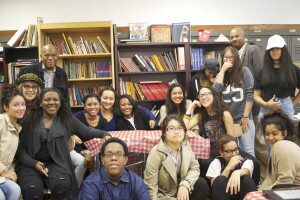 Here are a few of us! 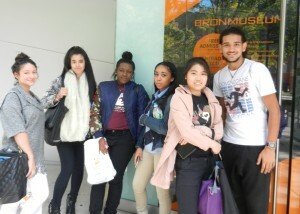 Coffee House students visited the Young Lords Exhibit at the Bronx Museum of Art on October 16th and wrote poetry there in response to visual pieces.